$5 shipping to US via priority mail box. For international shipping, please inquire. 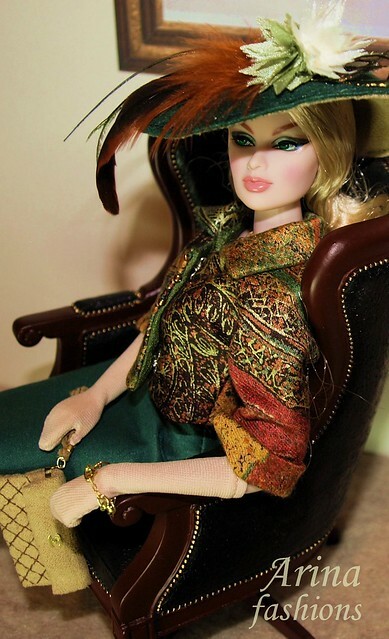 OOAK outfit for Silkstone Barbie and Fashion Royalty dolls. 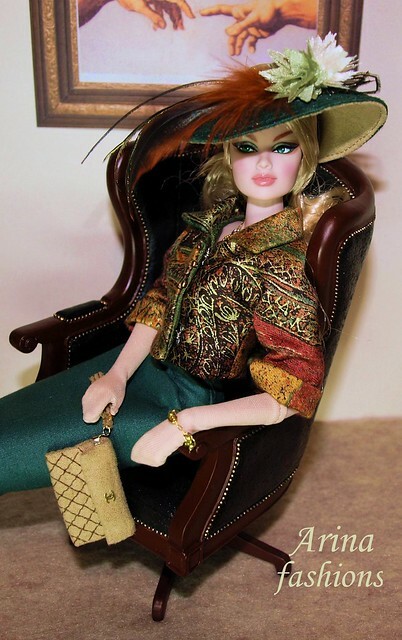 This fashion includes the jacket, pencil skirt, hat, gloves, earrings, necklace, bracelet and Chanel style clutch purse (opening). It is fully lined. 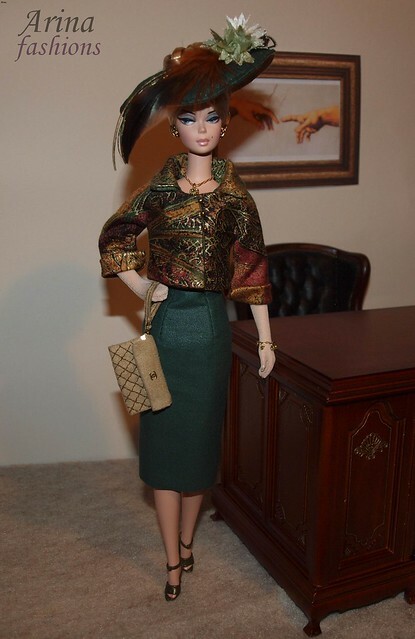 It does not include the doll, shoes or background. 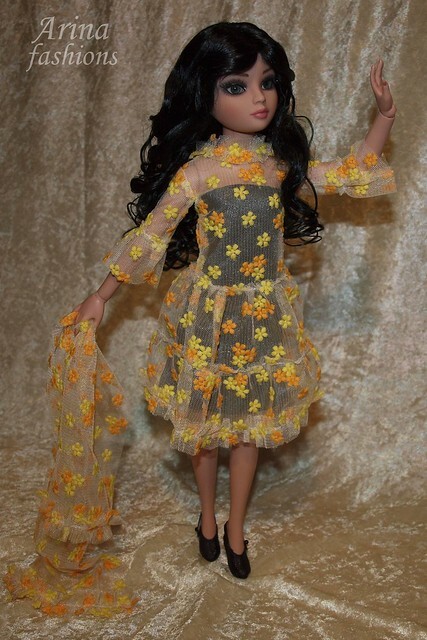 OOAK outfit for Ellowyne Wild . 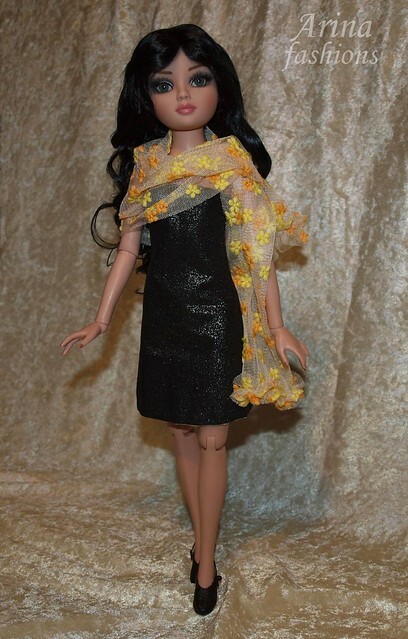 This fashion includes the reversible dress, upper dress and scarf.